Are you greedy about new knowledge or just would to try yourself in something new? Our application provides step by step training lessons, video tutorials, real world examples to help you learn the topic you are interested in. You can choose from dozens of courses created by professional tutors, share your results with mentors and earn recognition by getting achievements. You have an expertise that you would like to share with others who are greedy about new knowledge. 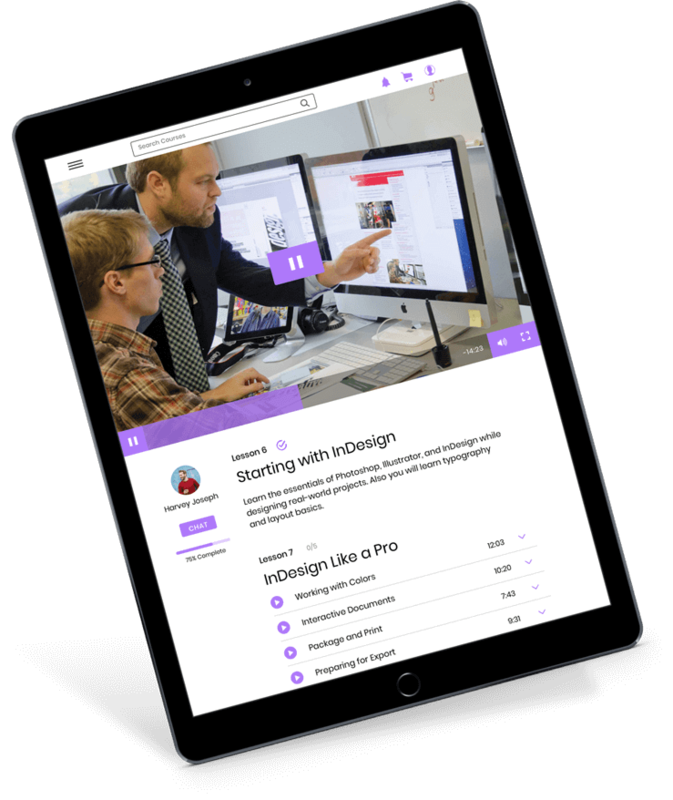 The education platform provides the ability to add step by step training lessons, video tutorials, real world examples to help people learn the topic they are interested in. Let your visitors choose from dozens of courses created by professional tutors, share their results with mentors and earn recognition by getting achievements. Create the variety of online courses on different topics. 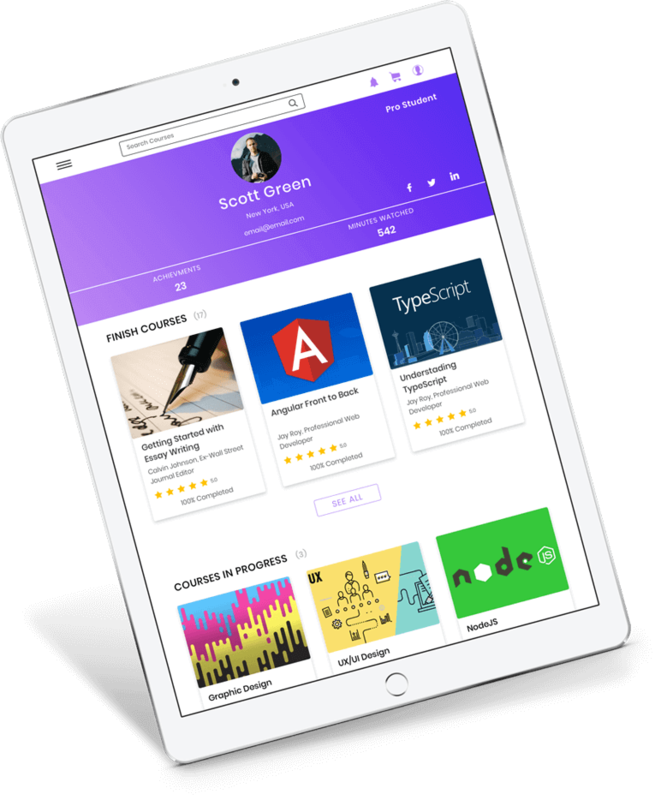 Add categories, show course ratings and help others to start learning instantly. Control your progress and get overview your results from your profile page to know what you achieved. Get in touch with course creators and mentors using comments, online chat and by sharing your works with them. 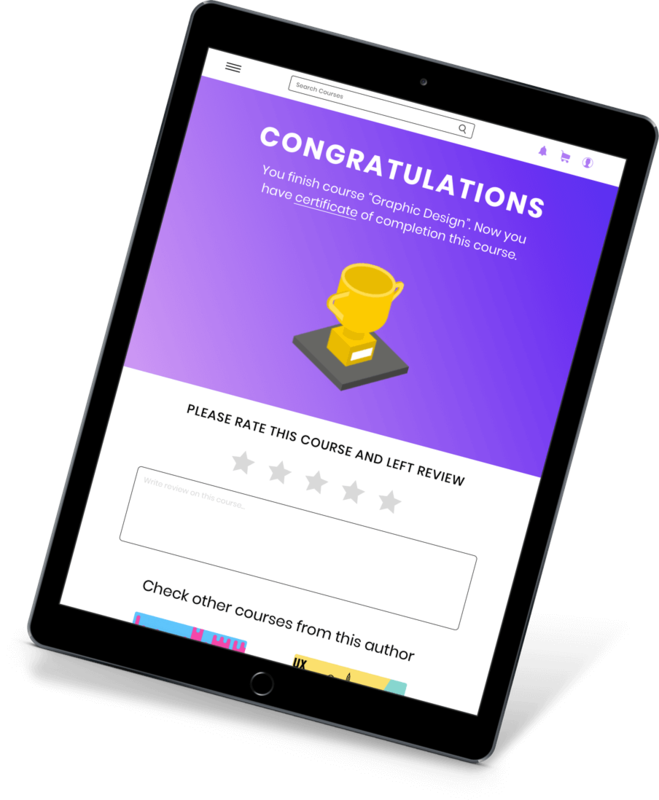 Complete the final task in a course and get opportunity to share your codebase, sketch, design, etc. with other users or even use it for future courses. Share your success and results on social media with a single button click. Showing good feedback for your potential employer can make the difference. 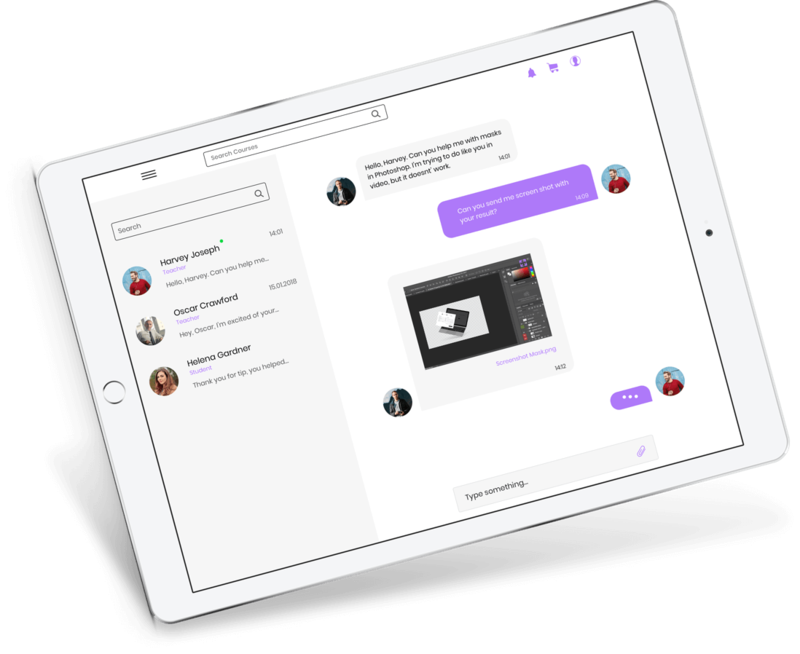 Enter private and public chat rooms for communication between students and tutors. Receive comments for the works you created when passing courses. 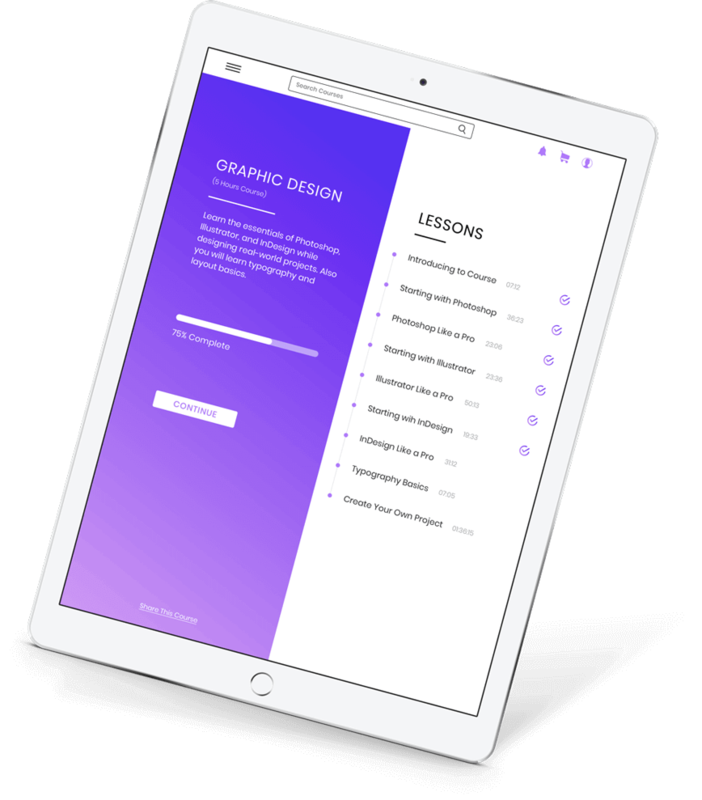 Share your works right inside the course page with tutors or mentors that they can review and share between others right inside the app. Support of various user roles allows involving professionals to provide assistance for the students as tutors, mentors of reviewers. Streamlined ordering process and in-app payments to start with learning fast and easy.